Orac is manipulating Zen…and the Liberator crew, into chasing after the rumored Federac, a computer said to be equal if not superior to itself. Jenna is seeking revenge on the man who murdered her father, but Blake needs her as pilot to chase after the Federac trail. Cally is left as scout on the planet Vere, to track down Jenna’s quarry, only to mysteriously (rather convenient, that) fall afoul of none other than Travis. I have to admit, this is one of the weaker entries in the Blakes 7 Classic Audio Adventures thus far. With a rather split focus resulting in something of a dual storyline, there’s always the danger of losing the listener’s attention. But with a somewhat tenuous rationale for Cally’s quest (seriously, what connection does she have to all this, and what particular strengths does she bring to justify her being assigned hereto?) and the seemingly random presence of Travis (aaaaand… why is he on Vere again? ), at least half of the story seems dry and rather pointless. Some of it becomes clear later, but even so. The other half works better, though the fact that the crew is being manipulated by Orac (who actually tells Zen when he can and can’t respond to their orders and queries!) bristles. Of course, that in itself is another of the “mirrors” implied by the title, and without giving away too much of the story, there are manipulations within manipulations to be found here. Travis lures the Liberator crew to Vere. Federac lures Orac (and thereby the Liberator crew) to Stellidar Four. Orac manipulates the crew, only to be commandeered by Jenna to her own ends. Locklan is not what she seems, nor is Federac…or for that matter, Stellidar Four itself. In effect, the Vere end of the equation is extraneous material. While it does serve to explain a few matters, in the grand scheme of things…it could have (and in fact, should have) been excised entirely. On the other hand, we have the Stellidar Four material. While Orac’s nigh-fascistic behavior continues to grate, it is in this end of the story where things turn vaguely metacognitive and philosophical (at a bit of a stretch, admittedly, but even so). 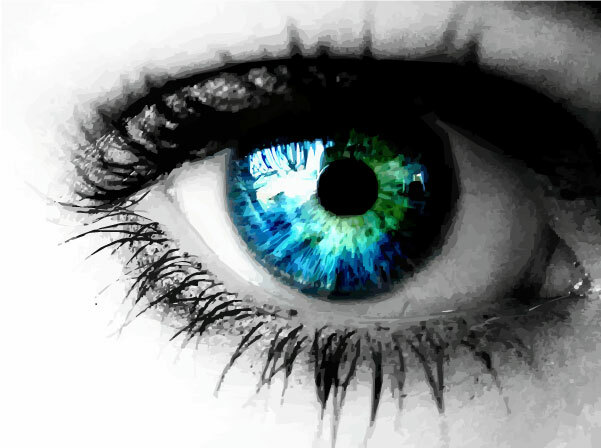 Unfortunately, this material only builds in interest as we progress towards the latter half of the story. With a weak, somewhat pointless opening and early false cadence of a peak alongside a telling split of the female characters from the male (and what the hell was that all about? 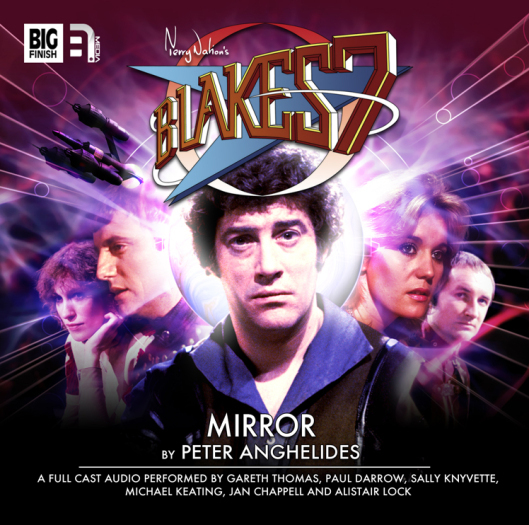 ), Mirror is easily misread as a dismissably mediocre stopgap in the Blakes 7 story. And this is a shame, because as the layers of manipulation begin to unravel and the men are forced to face down their personal fears, things become rather more complex. While not especially profound in any real respect, there is certainly enough merit to this portion of the tale to recommend it to the Blakes fan. As always, it’s a much welcome pleasure to hear the entire original Liberator crew working together after far too many years’ remove. And as noted in prior reviews, it’s also great to hear Brian Croucher’s iteration of Travis firmly in tow, though the absence of Jacqueline Pearce’s sensual yet sinister Servalan is palpable. In fact, it’s the one thing keeping the Blakes 7 Classic Adventures from being an absolutely perfect (ahem) mirror and continuation of its televised incarnation.